I am sick. I hate being sick, but one of the best things for a cold is chicken soup. 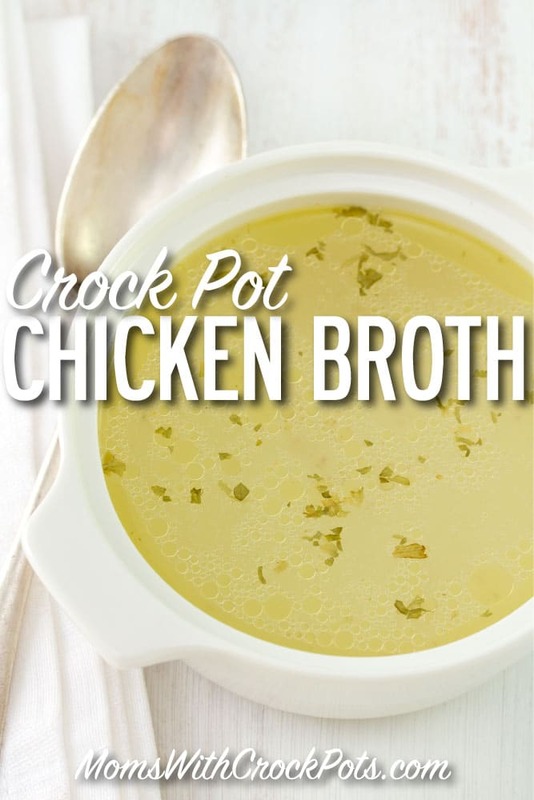 This Crock Pot Chicken Broth is perfect for making your own soups, flavored your own rice, and tons of other dishes. Make a bunch and freeze the extras! You can throw together a chicken stock in no time with your crockpot! Check it out! 1/2 cup loosely packed fresh herbs such as parsley dill, and thyme. Place all ingredients in slow cooker and add enough water to fill 3/4 of the way full.